Unit Weight – 42 lbs. Static Capacity – 1,000 lbs. Lift Capacity – 650 lbs. 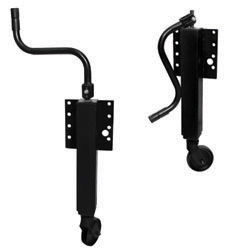 Butler Tandem Support Trailer Jacks can be used with our Stiff Leg Supports to make any drop easier.